Busan, South Korea, 1970s. Lee Doo-sam is a small-time smuggler. After helping a drug gang to smuggle meth, he falls into the dark crime world. 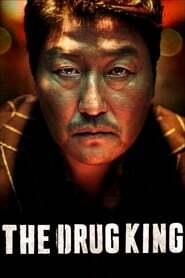 Quick-witted and full of ambition, he eventually takes over the drug underworld and starts to lead a double life: a good community leader during the day but an infamous drug lord during the night. Melodrama about a bomber on board an airplane, an airport almost closed by snow, and various personal problems of the people involved.